April 7, 2014, Hong Kong – CBRE today announces the appointment of Mr Marcos Chan to the position of Head of Research, CBRE Hong Kong, Macau and Taiwan, with immediate effect. Mr Chan will lead the Research Team in support of the company’s business priorities and growth agenda, via CBRE’s research platforms, to produce cutting edge market-leading research. Mr Chan will also be responsible for delivering thought leadership on behalf of CBRE Hong Kong. Mr Chan has over 16 years’ of market research experience behind him, the last 13 of these with JLL, where he held senior positions as Head of Research, Hong Kong and most recently, Head of Research, North China. 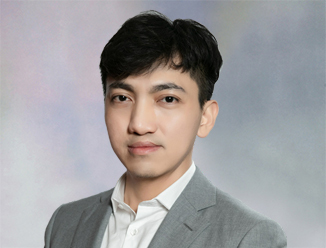 He has a profound understanding of the real estate market in the Greater China region, and with his strong research background in property agency, Marcos is well-versed with Hong Kong occupier trends, landlord requirements and the consequences of market movements. Mr Chan holds a Master of Science Degree in Real Estate from the University of Hong Kong and a Bachelor Degree in Economics from University of Sydney. He is also a Licensed Estate Agent.